A series of beautiful islands float on the sea, protect a bay named Tomini Bay. The region is a transition zone of Imaginary Line of Wallace and Weber, provide the natural wonders that shouldn't be missed. Be prepared to explore the greatness of Celebes and see directly one of tribe who inhabits the ocean, named Bajoe tribe. 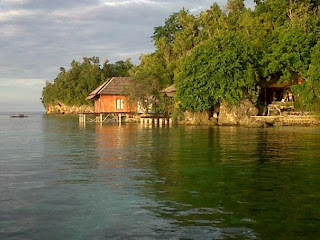 Yap, this is Togean Islands, a national park by an area of 292.000 acres (sea area) and the land area is about 70.000 acres. The location that is not too isolated and far of city's life has became alluring appeal for the enjoyer of natural landscape beauty and the diversity of marine biotas. This Islands is cluster of small islands that transverse in the middle of Tomini Bay. There are more than 60 islands here, several are famous like Malenge island, Una Una island, Batukada, Talatakoh, Walekodi, and Waleabahi island. In Togean Islands you can see mangrove forest and the vast seagrass or usually called as "nambo" where it become a food source of dugong as a sea mammals. Several species of rare turtle also inhabits this area such as green turtle (Chelonia mygas) and hawksbill (Eretmochelys imbriocata) that make this beautiful beach as a place to foraging and breed. In Togean, there are 33 types of mangrove that consist of 19 types of true mangrove and 14 types of associate mangrove. The 33 types of mangroves is grouped in 26 genuses and 21 familia. Also, there are several various types of animals that inhabits the forest with their own uniqueness. Under the sea that so amazing, you can meet pilot whales, giant clam (Tridacna gigas), and lola (Trochus niloticus), giant stingray, coral shark, and big eye trevally fish, and of course the colorful coral reefs. There 4 types of coral reef such as barrier reef, patch reef, fringing reef, and atoll. Also there are 35 species of butterfly fish (Chaetodontidae) that live around it also as a indicator of the coral reef's health. In the deeper marine area, you can find more than 262 types of coral reef, 596 fish types, and 555 types of molusca. Very incredible !! 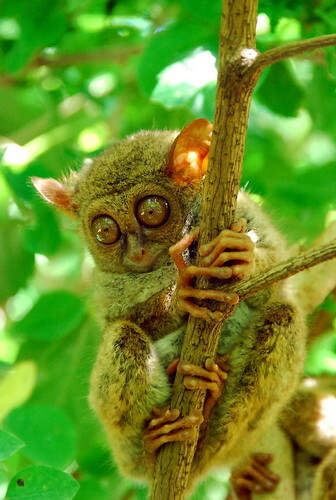 Meanwhile on the land live endemic faunas of Sulawesi that is protected like tangkasi (Trasius sp. ), cuscus (Ailurops Ursinus), deer (Cervus timorensis), and coconut crab (Birgus latro). There are also monkey togean (Macaca togeanus), lizard togean (Varanus salvator togeanus), and wildboar togean (Babyrousa babirussa togeanensis) that only live here, in Togean Islands. Many types of bird can be found here. At least 90 types of bird that is protected like Red-knobbed Hornbill (Rhyticeros cassidix) and Brahminy Kite (Haliastur indus). The biodiversity nad the beauty of Togean Island, make this Islands is designated as a national park through Keputusan Menteri Kehutanan (SK. No. 41 8/Menhut-II/2004). What Activities You Can Do? There are many activities you can do here start from fishing, sailing, swimming, and diving surely. Some big and small islands which is inhabited various types of unique flora and fauna. Also you can visit settlement of Bajoe tribe in Kabalutan, Enam island, Malenge island, or at Kayome where there is a original house of Bajoe tribe that is left by its owner and it's built without nail. Very pristine and natural !! In the main settlement area at Togean island where is located Katupat village with beautiful beach or you can go into its forest to do trekking. Batukada island is the largest island and the most easy to be accomplished from Togean Islands. You can visit Bomba village to swim, snorkeling, or visiting bat cave. Meanwhile, Wakai, a sub-district city, there is a departure harbour to Kadidiri island where Kadidiri island is tourist object in Togean Islands. The underwater life of Togean Islands offers the visit to make you plunge to the bottom. There are a lot of dive spots which is supported of snorkeling activity. Kadidiri island is the most popular island in Togean that offers the beach beauty with snorkeling location and diving location. Beach of Kadidiri island has quiet flow. There are a lot of affordable lodging on the west coast with a series of craggy coral rocks that become the habitat of coral crab. In Taipi wall, about 4 km in the south of Kadidiri, there is dive site like vertical coral wall that extends from the north to the south. You will enjoy amazing scenery here like coral reef biotas and varios types of coral and colorful coral reef. The flow is friendly with varies depths from 5 metre to 30 metre and sea water is warmed by sunlight so it will make you stay for long time. Under the sea near with Enam island, there are many wreckage of bomber B-24 as a dive site today where the bomber are owned by United States of America that fall down on May, 1945. The bomber is in well condition where you can see the rest of plane's propeller and one of plane cabin complete with machine gun behind. The bomber wreckage can be found 16 km from Kadidiri in the depth of 14 m to 22 m.
For all of you that has been experienced to dive, then you can go down to Karang Dominic in the most northern of Togean Islands and it's located in the depth of 30 m to 40 m. In this dive site, you as a professional diver will find the depth variations until 40 m where sunlight won't reach this level. For you who is not interested to plunge down, you can try to fishing or exploring the forest nature in Malenge island. Or you can visit Mount Colo in Una-una island as your tourist activity alternative. Also you can do activity of culture tourism by visiting the settlement of Bajoe people in Kabalutan. National park of Togean Islands is located in Tomini Bay at Tojo UnaUna regency, Central Sulawesi. Route from Jakarta to Togean are : Jakarta - Palu - Ampana - Togean. From Jakarta to Palu you can use Lion Air, Sriwijaya Air, and Garuda Indonesia, from Soekarno-Hatta International Airport at Cengkareng to Mutiara Airport in Palu, and it needs 3 hours. The ticket price start from Rp 700.000,00 until Rp 1.000.000,00. From Bandara Mutiara Palu, you can rent airport taxi to agent travel by the cost of Rp 50.000,00. The travel will bring you to Ampana. Here the travel list to Ampana by the fare of Rp 110.000,00. Touna Travel at Jalan Sam Ratulangi Palu (Contact numb. +62 0451 454808) departure schedule from 08.00 WITA and 16.00 WITA. Sansarino Travel at Jalan Sisingamagaraja Palu (Contact numb. +62 0451 425807) departure schedule from 09.00 WITA. The road trip from Palu to Ampana through Poso is about 375 km or 10 hours of road trip. You won't be bored because during the travel, you will see the beauty of coffee plantation and the beauty of beach in Equator line. Next, continue your travel by using boat from Ampana to Wakai and Malenge. Routine schedule of boat start from 10.00 - 11.00. By knowing the departure schedule of boat, you can determine your time travel. Another alternative route that are the shortest from Jakarta - Luwuk - Ampana - Togean. In Luwuk, you can go to the airport where it serve the flight from Surabaya and Makasar (Ujung Pandang). From Luwuk to Ampana is closer and it needs 4-5 hours of road trip. If you come from Gorontalo, then you can do travel to Marisa then go by boat to Dolong or Wakai. From Gorontalo, the boat sail only on wednesday, while from Ampana, the boat sail every monday, tuesday, thursday, and sunday. When you arrive at Ampana, you can go diretcly to Kantor Balai Taman Nasional Kepulauan Togean at Jalan Poros Uemalingku Atas, sub-district of Ampana. Here you can ask some information about National Park of Togean Islands. It doesn't matter if you show your bargaining skill to rent land transportation and boat. You can be friendly with other passengers or fisherman who owned the boat you get on. They are local citizen and they are very happy if you invite them to talk with you. Togean Island doesn't only offers dive package. But you can do trekking in all islands to see and witness Togian Babirusa, deer, bat, coconut crab. Or you can rent boat to the west of Togean Island to see and interact in the settelment of Bajoe tribe which is known as ocean tribe. For accommodation in National Park of Togean Islands, many various inns and cottages by various of rental fares start from Rp 150.000,00 until Rp 400.000,00 per day. But the fare can be cheaper depend on your choice. Even you can stay at local resident home without paying a dime. But, if you want privacy, inn is the best choice. 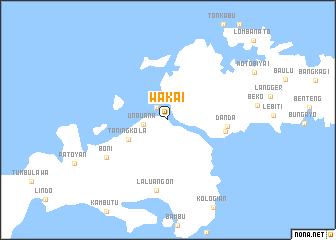 Also you can choose inn around Tongkabu island or also in Ampana city. At least, Ampana city has complete facilities. Here the list of inns and hotels you can visit. I love this place. Everything looks great.